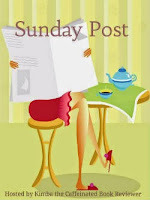 In sunny Scotland the weather is still dismal but it is winter so really shouldn't expect anything different. 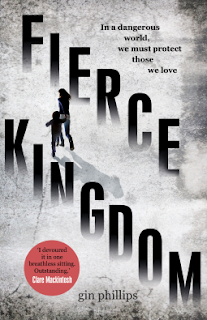 So you may remember last week I read Cinder, which FYI I loved. Like love love love loved, I am always suspicious of hype, which of course does surround the Lunar Chronicles in bucketloads. But the hype was right, it was so good. Anyway I started reading Scarlet and am a couple of chapters in, really enjoying it but then a great package landed on my doorstep and basically fucked up my reading plans (but in a good way)! But to appreciate this book I thought I had better re-read the last two books Red Rising and Golden Son because my brain will struggle just a little to remember what the hell happened with all those characters but Darrow I remember and I want to see how this story ends. Anyone else read Pierce Brown's series? God I slacked last week and was meant to review Cinder but as usual stuff gets in the way. Bizarre Books with even more cats! Yep I will do my best to go on and on and on about this during the coming week! How young do Mulder and Scully look!!!!!? The new X Files starts on Monday and I am looking forward to it! It scared me to death the first time round, it had better do it again! You are awash in good reads LOL! That's the best, when you have a good one and ANOTHER arrives. Cha- ching! I was at the bookstore today and thought about reading some SAGA LOL, the graphic novel section was huge- there are so many now. I didn't get to them though... one of these days! That is a New Girl gif Greg!! It is a great show!! 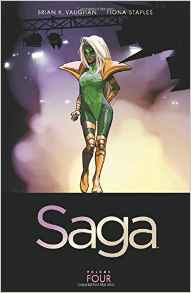 Saga is great, if you get the chance have a read! They are amazing books, hope you get to read soon!! Did you put Scarlet aside to re-read the predecessors to your new arrival? (I haven't heard of any but can very much appreciate faves landing on your doorstep! 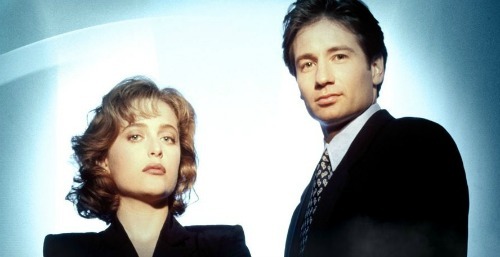 And the new XFiles only started here last week - so we're two episodes in. I haven't watched them yet (and no. 3 is on tonight) so I'm taping them until I get time to do a binge-watch! I did Deborah, I'll get back to it though!!! I was so excited to start watching Mulder and Scully but I haven't even started yet!! 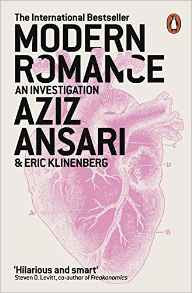 I'm way behind on book reviews! I have books I read 5 years ago with no review, no notes and barely any memory of what it is about! This year I'm determined to get fully caught up! As for the weather, I always describe myself as a winter person but I'm hating all these storms and wishing spring would come! I am still way behind, will catch up eventually!!! You'll get caught up!! I got Morning Star this week, too! Book Depository sent it out early, and I don't have the same self control as you have, Heather, I've started reading it! I could not wait. I'm really glad you enjoyed Cinder! Sometimes, the hype is right :) I have only read that one, but I have the next books in the series as well. Thanks Lexxie!!! Hope you enjoy Morning Star! Read Red Rising Kristen, it is amazing!!! The hype is justified for both Cinder and Red Rising! I need to hurry up and start watching the X Files! I just reread Cinder a couple weeks ago and I'm rereading Scarlet right now! Scarlet is my favorite of the two. I'm building up to read the rest of the series for one of my reading challenges this year, but I needed a reminder of the world because I haven't read the books since they were released... and that's A LOT of books ago. They're so imaginative. I can't wait to finish Scarlet and get on with the rest of the series! A lot of bloggers rave about Scarlet! I have the whole series plus the one with the short stories in it too, looking forward to reading the rest! Moulder and Scully look like babies! I watched the show the first time around but was never a super devoted fan. I've been wanting to do a rewatch though. I'm so glad to hear you enjoyed Cinder. I've got one book ahead of it in my audio list and I can't wait! I'm intrigued by the Wrinkle in Time graphic novel. It was one of my favorite books as a kid and I'm really wanting to do a reread and I'll have to add the graphic novel to my list. Have a great week! I had never read the original Wrinkle in Time but I think I will go back and do it, I loved the graphic version. Scully has aged reaally well I would love to know her secret!! 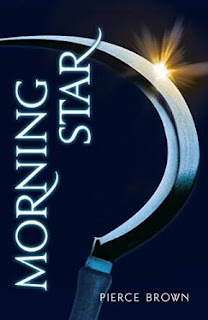 While I loved the Lunar chronicles..I totally agree Morning Star must be consumed now, immediately. Life is too be put on hold!! I ordered a signed copy and watching it in transit is killing me!! Yep Morning Star is a must and Pierce Brown seems like the nicest author in the world! I knew you'd love The Lunar Chronicles if you got the chance to read them. I don't fault you at all for putting it to the side for Morning Star. I preordered it. I also feel like I should read the first 2 books again, but I don't want to wait to read MS to do it. LOL! No I had to do it so I could re-read them all back to back and savour them again!!!! I have not read anything by Pierce Brown but I DO want too. It's good all three are out now, so that's a good sign for me to get on it. haha I'm glad you loved Cinder; can't wait to see your review. 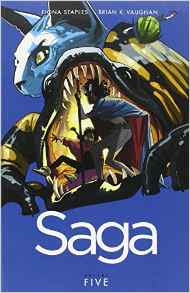 I don't any of the Saga books, but I DID just read volumes 3-5 via library books and they were great. Hope you love them too! 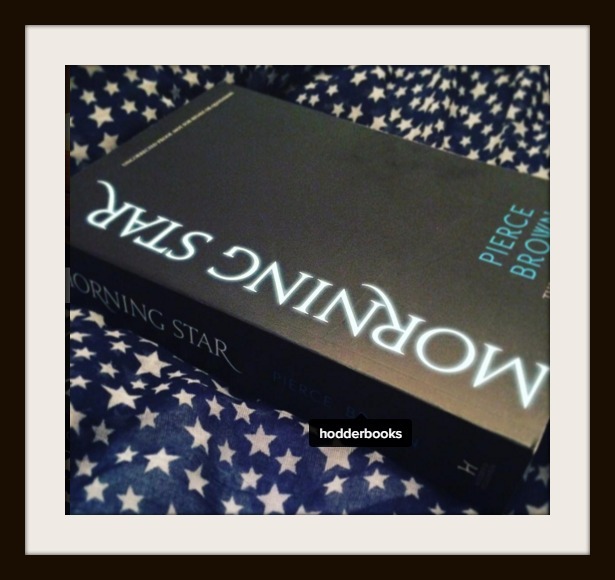 You should, Pierce Brown is an awesome writer plus now all of them are out there is now waiting! 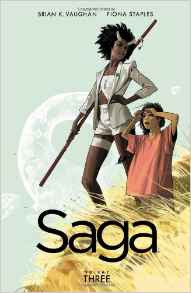 Saga is fantastic! I so want to try the Red Rising books! Enjoy! I'm so glad you loved Cinder! Can't wait for your review and for you to read the rest of the series. As for Pierce Brown's books, you and everyone else are raving about them, so I may get to them one of these days! You should, Red Rising and the rest are brilliant! AHH MORNING STARRRRR!! I'm in the same "I forget what happened in teh first two books" boat though. XD And like I do want to re-read??? But I have so many books I need to read at the moment, so wah, I don't think I'll be re-reading at this point. BUT I STILL WANNA KNOW HOW IT ENDS SO BAD. I know, I have so many fantastic books which one to read first!!!! But no I am re-reading Red Rising and Golden Son before I attempt Morning Star! Read them!!!!!!! They are fab!! I looooove the Lunar Chronicles series so much, I hope you get to finish the rest of the series soon! I hope to but Pierce Brown got in the way! We mostly got rain and widn here, the weather is not too bad for winter, but I do miss the snow. I haven't read Pierce Brown's series, but I heard good things. 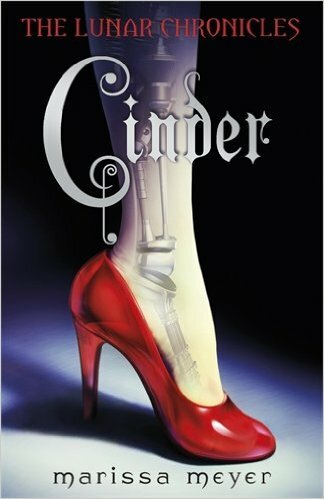 I'll have to remember to stop by later this week for your review of Cinder, it's on my to-read list. I hope you'll have a great week! Lola you should definitely read these series, so far they are both fantastic! 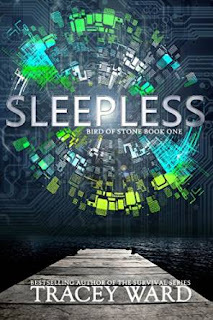 Sleepless sounds pretty cool! Ooh, and I know what you mean about things get interrupted when new great books just land on your doorstep! 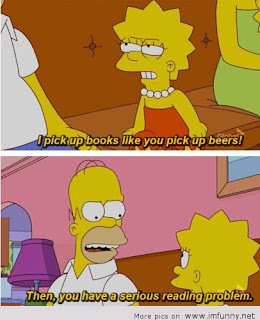 I mean, what are you supposed to do with all these epic books that need reading? There are just not enough hours in the day and days in the week!! !